Elegant taffeta quilted coverlet features 1 inch diamonds, has plain taffeta bands at joining seams, as well as 1 inch wide banding around the edge. The coverlet is lined with cotton sateen. 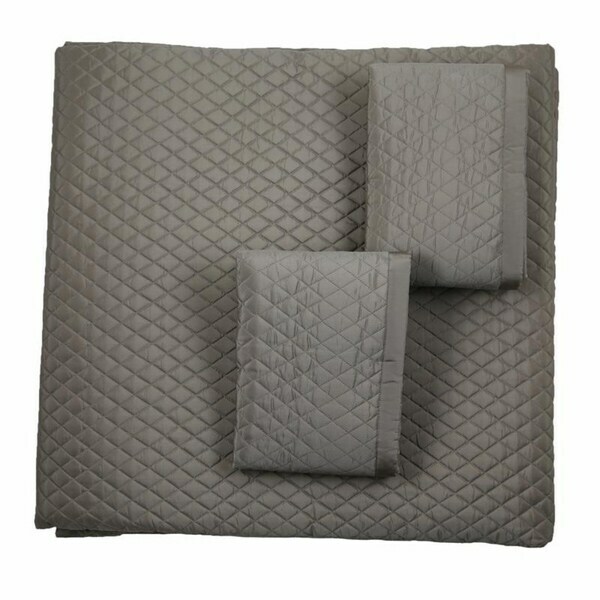 King set includes coverlet & 2 king shams. Queen set includes coverlet & 2 standard shams. 100% Silk. Dry clean only. Dimensions: 96x98 inches.